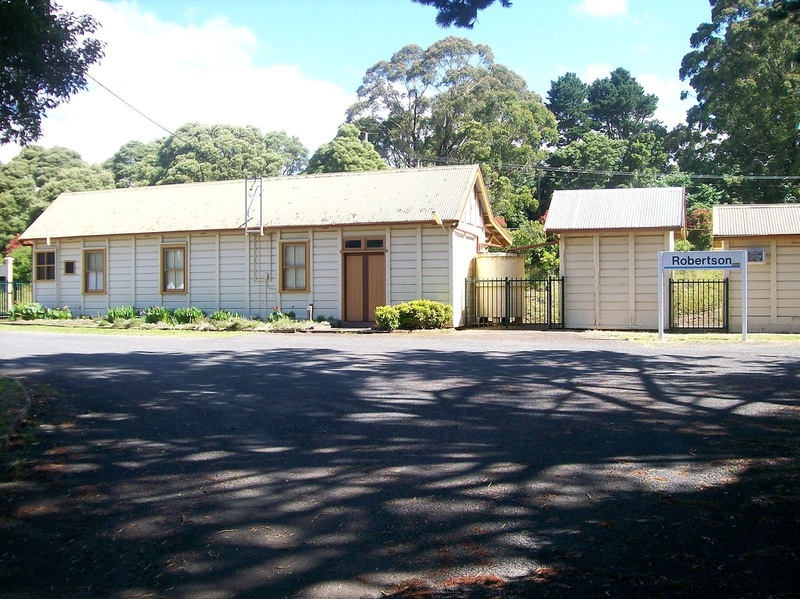 The Robertson Railway Station is heritage listed by the National Trust. The station has a museum, gallery, picnic pavilions, Perway/Gang Shed, reconciliation carved poles, and Flugelman sculpture in landscaped gardens. The station is the destination of the Cockatoo Run (part of 3801 Ltd.) which offers one of the most scenic train trips in the country. The vistas from the vintage carriages as passengers ascend the 2000 foot high escarpment from Wollongong, are simply breathtaking. Lake Illawarra and the sparklingly blue ocean are laid out for all to see. The Perway/Gang Shed has number of tools used by fettlers in years past plus two quadricycles of the type used when Robertson had its own perway gang. Robertson Heritage Railway Station (RHRS) Incorporated is a non-profit community based association incorporated in NSW. Robertson Heritage Railway Station Incorporated (ABN 49 205 638 195) aims “to maintain, manage, enhance and conserve the Robertson Heritage Railway Station and precinct“. As a non-profit association, the RHRS Inc particularly appreciates the sponsors of grants and other support it has received. Our Phone Contact diverts to a RHRS Member's home when the station is unattended.